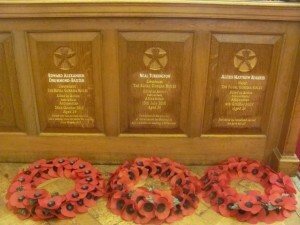 On Sunday 13th November 2016, The Royal Military Academy Sandhurst, home of the British Army Officer, held its annual Service of Remembrance in the Royal Memorial Chapel (RMC) during which a Service of Remembrance and unveiling of RGR Officers memorial Plaques took place in honour of the three RGR officers who were killed in action whilst on operational duty in Afghanistan on Op HERRICK. Colonel RGR, Brigadier G Strickland DSO MBE was joined by the parents of Major Alexis Roberts, Lieutenant Neal Turkington & Lieutenant Edward Drummond-Baxter, family members and representation from the Brigade to commemorate their lives and service. The dedication of the plaques, which were funded jointly by the RGR Trust and the RMC, was conducted by Reverend M D Parker CF. 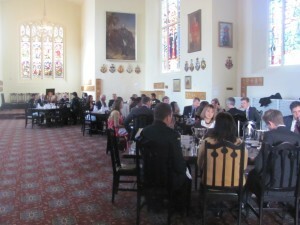 Following the service the families had a chance to talk with some of those who had served with Alexis, Neal and Ed over lunch which was held in the Indian Army Memorial Room, Old College, RMAS. Major Alexis Roberts was killed in action whilst serving with the 1st Battalion The Royal Gurkha Rifles in Southern Afghanistan on Thursday 4th October 2007. Major Alexis ‘Lex’ Roberts was commissioned into the RGR in December 2000. He completed Platoon Commanders Battle Course and then joined 1 RGR in Brunei in March 2007. He deployed with to Bosnia in October 2003, completing a 6 month tour, and was then posted to RMAS as a Platoon Commander until 2006. Thereafter, he was given the acting rank of Major and assumed Command of B Company 2 RGR in Folkestone. 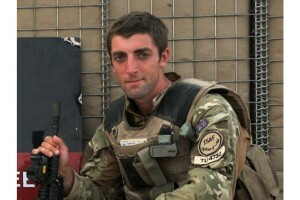 He then deployed to Afghanistan with 1 RGR to assist in their operational tour. Maj Roberts, aged 32, lived in Kent with his wife and two, daughters. 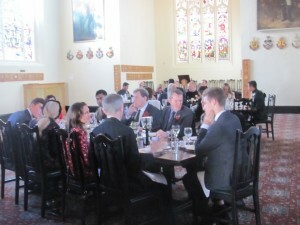 After graduating from Imperial College London, Lieutenant Neal Turkington attended the Royal Military Academy Sandhurst. He was commissioned into 1st Battalion The Royal Gurkha Rifles in August 2008 and went on successfully to complete the Platoon Commanders’ Battle Course in Brecon. His first appointment at regimental duty took him to Brunei where he quickly settled in at the helm of 2 Platoon within A (Delhi) Company. Lieutenant Turkington then continued his Gurkha education by attending the three months of language study in Pokhara, Western Nepal. At the end of the language training he conducted a memorable trek through Nepal in support of the Gurkha Welfare Trust before returning to Brunei where he turned his attention back to a profession that he showed a real zeal for. Ambitious for his platoon, he was constantly challenging accepted practices in order to improve himself and his team, a trait that bore real fruit in the initial three months in Afghanistan, where he was in his element as a junior commander and leader. The time and effort that he had dedicated to his soldiers over the previous two years was paying dividends every day in the toughest of environments. Under his command 2 Platoon had been playing a key role in the complex counter-insurgency campaign that A (Delhi) Company are engaged in. He understood it and he ensured that each of his soldiers did too. 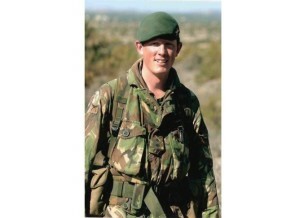 Lieutenant Edward Drummond-Baxter was KIA whilst serving with the 1st Battalion The Royal Gurkha Rifles in Afghanistan on Tuesday 30th October 2012. 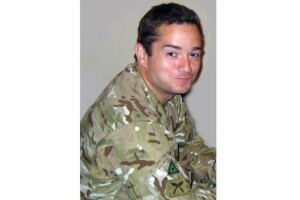 Lieutenant Drummond-Baxter was born in Peterborough in 1983 and lived in County Durham with his parents. He studied at University College London and gained a BSc degree in Psychology. While at university he was an active member of his local Army Reserves regiment, The Honourable Artillery Company. He subsequently spent two years working for the Foreign and Commonwealth Office before joining the British Army. He attended the Royal Military Academy Sandhurst and commissioned into 1st Battalion The Royal Gurkha Rifles in December 2010. After Sandhurst, he completed the demanding training to qualify as an Infantry Platoon Commander and further cemented his ability as an outstanding field soldier by passing the arduous Jungle Warfare Course in Brunei to qualify as Jungle Operations Instructor. Throughout 2011 and 2012 he expertly prepared and led his platoon through the detailed mission-specific training for Operation HERRICK 17 in Afghanistan and he deployed to Afghanistan on 30 September 2012 as Platoon Commander of 1 Platoon, A (Delhi) Company, 1st Battalion The Royal Gurkha Rifles (1 RGR), attached to 40 Commando Royal Marines as part of Transition Support Unit Nahr-e Saraj. He was based in Checkpoint Prrang in the southern part of Nahr-e Saraj District, Helmand province. He was on his first operational tour of Afghanistan.